Super Mario Run is now available on iOS, and while its launch hasn't been without some issues, it appears to have been a considerable commercial success for Nintendo, with 40 million downloads in four days. While Mario is indeed a world-famous character, it's fair to assume that some iPhone and iPad owners might not have experienced one of his games before, especially younger players who don't have access to a Wii U or 3DS. With that in mind, Nintendo has produced this polished promotional video which tries to sum up Mario's history, talents and overall appeal, as well as showing off some of the skills he possesses in Super Mario Run. It's a well-produced effort which does a good job of pointing out that there's so much more to Nintendo's mascot than a new iOS game, and could potentially encourage buyers to check out his other adventures, if they weren't aware of them already. This ties in with Nintendo's previously-stated strategy of using mobile to push players towards their own platforms. Let us know what you think of the video by posting a comment below. Do you think it hits the mark or is a bit pointless, given Mario's level of mega stardom? Wait until the iOS crew find out you have to pay for his other games too and you don't even get a free trial. of course....mario only has 4 friends. I got notification about that Mario video. Looks good. Peach is just 'a friend'? @UK-Nintendo It was a joke man. The Super Mario 64 art for Mario swimming kinda shows its age next to the more recent 3D renders. So many nostalgic sound effects. dat pole dancing at 1:25! This is more for Mario fans of old to check out the mobile app, in my opinion. Either way it got my nostalgia flowing. Really nice video. Super Mario Run is fun and I haven't bought in yet (in a couple days I will ) but I think many people don't treat it like a mobile game. You are supposed to play a little bit every day. Try something different build something up. It's meant for small bursts. I sometimes think people with video games as their main time sink don't have the capacity to understand the appeal. Same with Pokémon GO. Anyway, most people don't have hours and hours to game in their lives, or have much leisure time at all, as there are much more important activities in life. 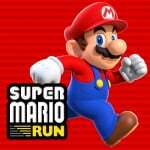 Super Mario Run is like many mobile games which give small respites. @Neon_Blues Can we at least kill the music track? It's nearly identical in each game. Who wants to bet that Mario Kart will get a mobile game.